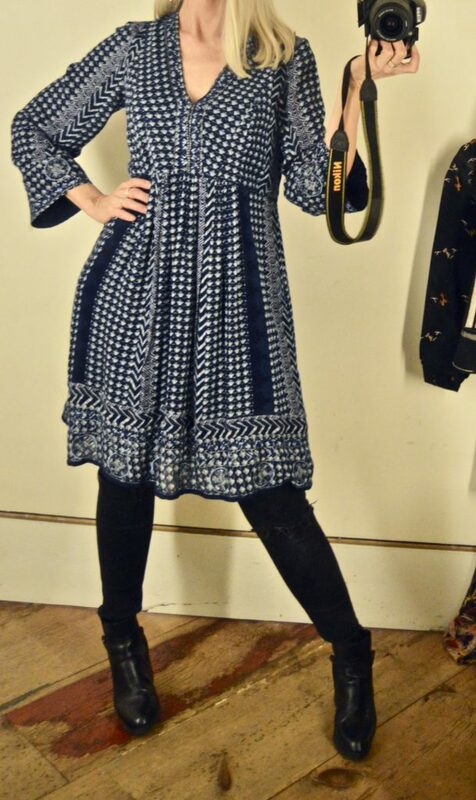 Looking over my blog posts from last year, I noticed that some of my most popular posts were dressing room selfies. Several readers emailed me or commented that it helped them with shopping online (which let’s face it, we’re all doing more and more of). So at least once a month, I’m going take to the dressing rooms of some of my fav stores for a try on session! Let me know what retailers you’d like me to hit up! 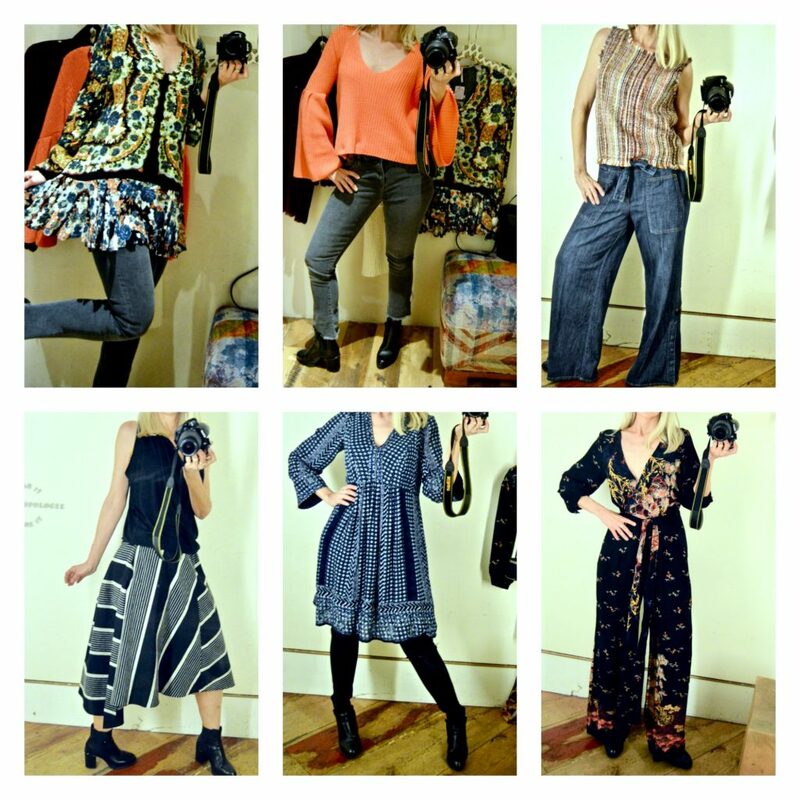 This time around I went to my two favorite boho-rific stores, Anthropologie and Free People. For reference, I’m 5’7″ and usually wear a 4 on the top and a 6 on the bottom. I picked this pretty piece off the rack thinking it was a maxi dress. I don’t usually gravitate toward jumpsuits because as a pear shape, it’s hard to get a jumpsuit to fit both my top and bottom half. I’m wearing a medium here and it’s a bit big on the bottom and way too big on top. The length seemed just about right on my 5’7″ frame, though hemming would be easy to do. The cool tweed tank top was adorable and there’s also a matching A-line skirt! 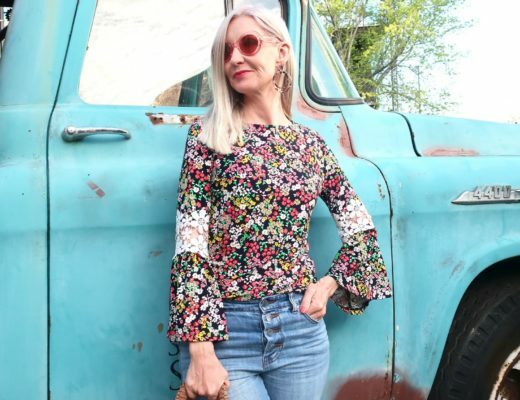 I loved it paired with these wide leg jeans, but I actually couldn’t find the exact jeans on the Anthropologie website. 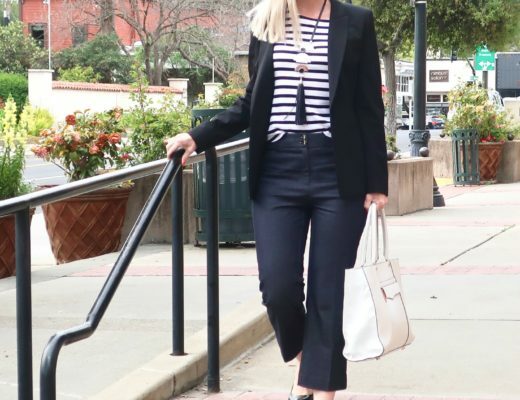 I linked some navy wide leg trousers below. Everything runs large so I’d suggest going down one size. This top was One Size Fits All which is always good for a laugh, but … actually because of the draping it really did seem to work! It’s a halter top, which isn’t too practical for me, but I grabbed it try on with this pretty fit and flare black and tan stripe skirt. 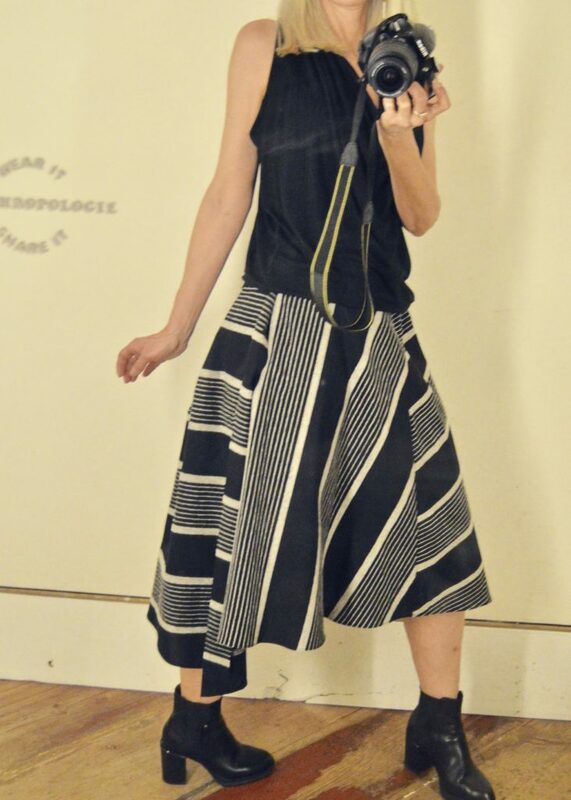 The skirt is such nice fabric and has a cool asymmetrical hem, which makes it a nice classic-with-a-twist. It runs true to size. On to Free People …. 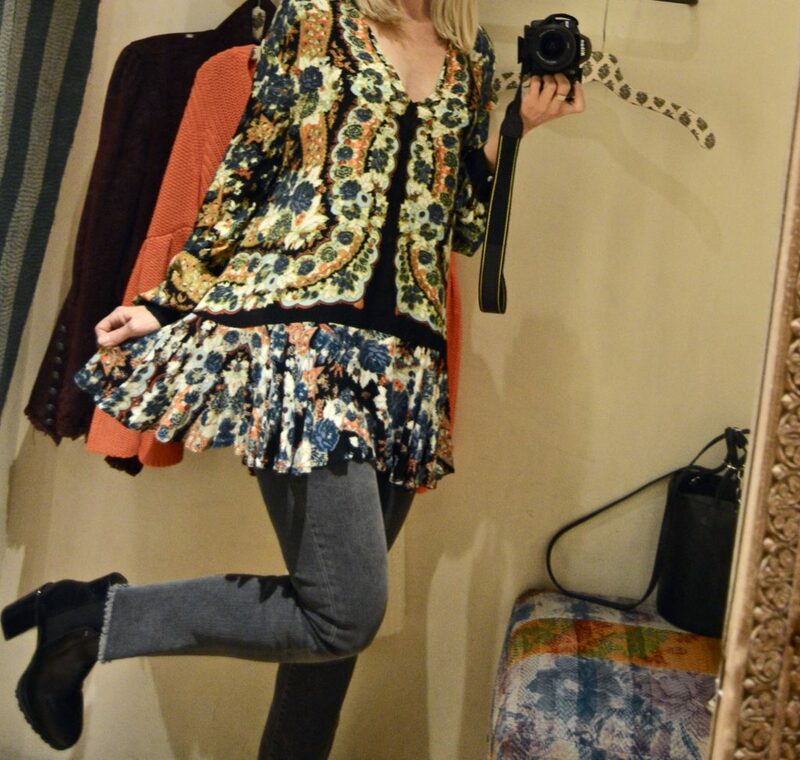 This beautiful boho tunic just right for spring. It seemed a little low cut for my taste, though I’m sure it would look cute with a layering tank underneath. I’m wearing a small. Isn’t this coral color pretty? 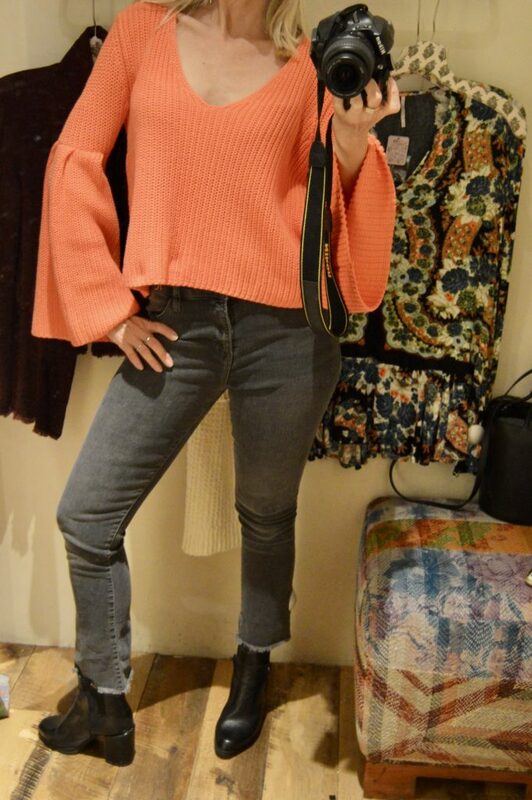 I’m loving this bell sleeve sweater, though I would prefer it to be a little longer. This V-neck is also pretty deep and I’m wearing a small. It comes in several pretty shades. The gray jeans are a great basic. They’re a size 28/6 and they fit snuggly, but with a lot of stretch. Which of these items do you like best? Do you think I need to order any of them? Check out the Anthropologie and Free People websites for more pretty new things. And while you’re there, don’t miss the fabulous winter sales! So Dolls, be sure to let me know what sort of dressing room pics would be most helpful to you. What kind of information do you want the most and what stores would you like me to hit? 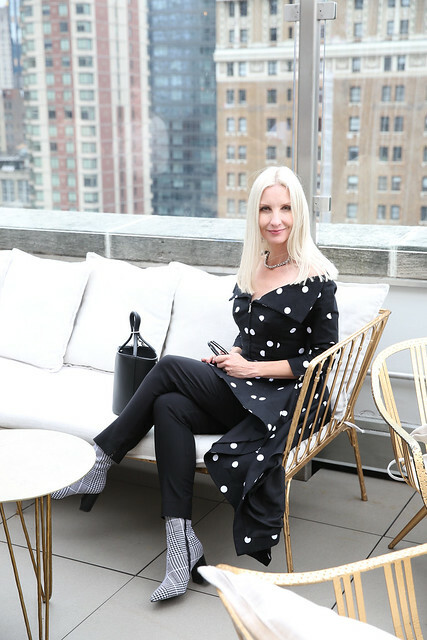 In case you missed it, check out my fab new bag and get tons of style inspiration from the link up party! Hope your week is full of fun & fashion! I love dressing room selfies, it’s fun to see what’s out there. 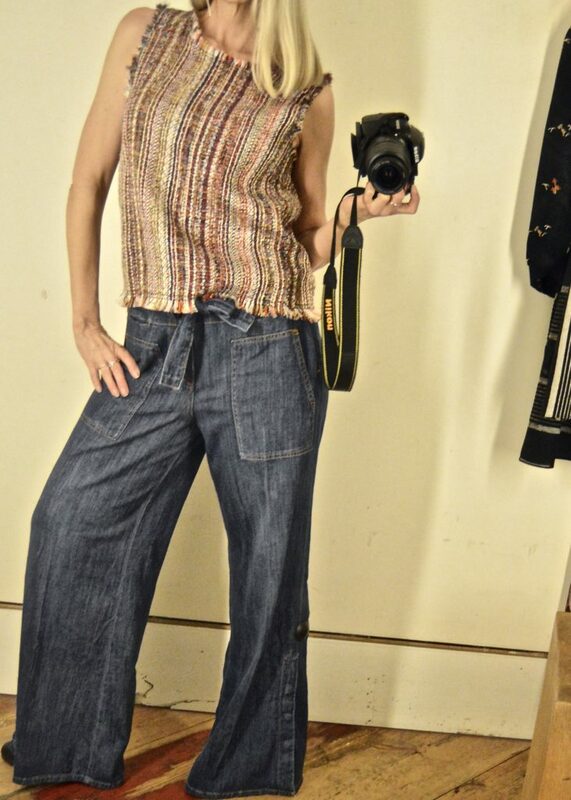 I am in LOVE with that sleeveless tweed top and those wide leg jeans! 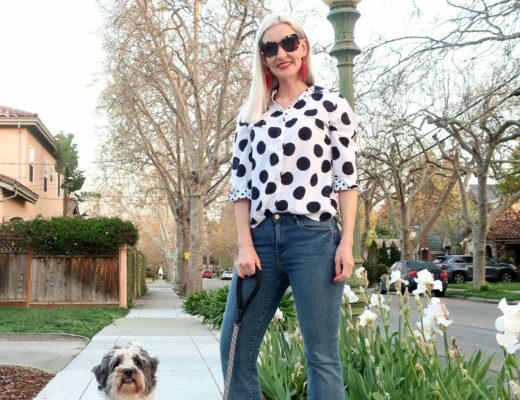 Love those wide leg jeans ! Loving the Free People tunic and bell sleeved sweater. 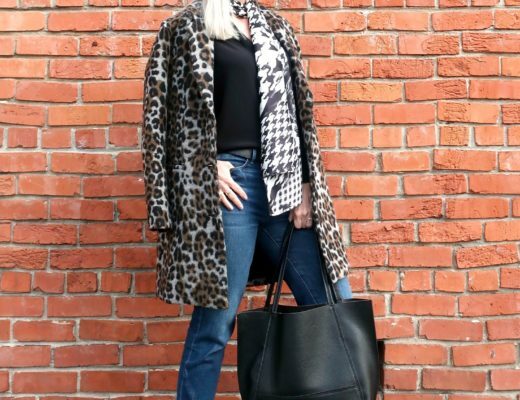 Both pieces are so versatile and would look fantastic with a wide variety of jeans, leggings, boots and shoes. I love Free People and I love Anthro. So much cuteness to choose from. I really loved the bell sleeve sweater and the tunic in the pic above it. Super cute!